The other day I got an interesting email from a reader. It is edited, but not for meaning, only to shorten it a little. I loved the images you sent from your recent tours in a theoretical sense. They are beautiful and uplifting. However, I must say that, while deluxe and educative, they are not as relevant to [me] as many of your posts. Well, I’m happy that some of the posts are relevant. I wish that I could be everything to everyone, but of course, that’s not possible. While some people couldn’t care less about my trip, others are foaming at the mouth dying to hear all about it. How might a typical follower request more applicable examples and advice without being rude, obtuse, or intrusive? As I am trying to find a balance between respecting where you are in your work and my needs I am struggling to improve my charming (personal interpretation) yet modest home. While I don’t expect your expertise to be free of charge; can you imagine any palatable avenue of support? Yes, hire a designer. Yes, it’s going to cost money. Later after my brief response, I received this reply, again with my answers between the lines. I know that, living in NY, you are attuned to smaller residences. You also have implied a dollar consciousness. That you have impeccable taste is a well-established fact. The majority of images I have found posted on websites are of much larger, bigger budget homes. I examine them closely, attempting to tease out some detail or general impression that might help me make decisions for my home. Would love to learn more about how you do this. Sure, I would love someone to tell me what to do sometimes too. :] But this is what this blog is about. I am telling y’all everything that I know and a lot that I do not know. ;] (that’s where research comes in) If what I’m writing about doesn’t help with your precise needs, then I would recommend hiring a pro to work with. I recommend it under any circumstances! But… magazine photos can be quite deceptive. Believe me when I tell you that there’s a photographer out in a corn field half a mile away with a 6′ telephoto lens, just so that he can make the room look large without distortion! Fine, I’m exaggerating, but photos ARE often deceptive. But even IF the room is on the large side, it really shouldn’t make a lot of difference, in terms of furnishing the space. Color, yes. Furniture, not very much. Because buildings and their furnishings are meant to relate to the human form. Sure, there are rooms that are super tall, like two or three stories high. But down, closer to the ground, one will find the furnishings to be about the same size as they would be in a room with an 8 or 9 foot ceiling. Of course, we are not going to take a 12 x 15 foot living room with an 8 foot ceiling and put in a heavy coffered ceiling, pilasters every three feet and heavy dentil mouldings. There’s a lot of logic in this business. What I am specifically interested in these days is a 1930s kitchen I’m planning on remodeling. Mine is 11′ x 13′ with three doors and three windows. Even gutting the space, it’s tricky fitting modern appliances and adequate storage in a way that is functional, balanced, relates to the rest of the house, and looks purposeful rather than accidental or poorly conceived. WAIT! The house is from the 1930s? Hold on just a second sister. ;] If this is a prewar home, you have already accomplished 90% of the battle. That is, unless some unfortunate miscreant did some hideous remuddling. I am also stuck, stuck, stuck trying to figure out the overall feeling this house will take on for the next 10 to 20 years. I’ve reached the age at which many of us have collected, been given, or inherited an amazing variety of objects that are meaningful, appealing, possibly even valuable – and vastly unrelated. Ahhh… well, this is why there are interior designers. I would suggest working with one; especially for a kitchen remodel. That one is imperative. But if it’s the original kitchen; it might not need to be totally redone. It depends how one looks at it. I love eclectic, but it can easily end up looking as though one furnished the entire house in a single day with a conglomeration of items from mom’s basement, several yard sales, an upscale consignment store, and a one-time splurge at the local luxury furniture boutique. Don’t get me started on the artwork that goes where???? I hereby grant thee permission to give away, consign or sell anything which is no longer working for your new timeless interiors and design aesthetic. Back to the kitchen. What about countertops? Marble for a more refined look (goes with the pretty white woodwork throughout and finer antique pieces); soapstone (in line with the cat’s well-worn, beloved, 100-year-old oak and wicker rocker, easy lifestyle, and the dings in that pretty white woodwork); or a decidedly contemporary manufactured material? Yes, these are not easy decisions. Here is a post about kitchen counters. Whatever direction it takes, I’m definitely done with my stuffy… I’m ready for handsome, substantial, relaxed, interesting, unpretentious, highly personal, pulled together, livable, inviting. And I want it to be smart; as in intellectually/stylishly/structurally smart, with a dash of humor. Lastly, I want to thank you for your brilliant and delightful blog. I especially value the search tool, which I employ frequently to read and reread pieces related to design dilemma du jour. Well, thank you D. And yes, the search box is an excellent tool that I use it nearly every day too! But, the main gist of these emails is that there is a reader who is struggling to find her true identity. She has accumulated a lot of things that hold some power over her. I know that it can be difficult to let go, but they are just things. Have to tell you that when I moved nearly five years ago. I left a lot of my things behind. Don’t miss them one iota. However, the freedom I felt when landing here relatively unencumbered was a thing of joy. One other option that helps me is when there is a question or a decision to be made, I google it. Should I use soapstone or marble for kitchen counters? Very often, there will be information out there that can help with the decision. However, there’s one over-riding design dilemma that actually plagues all of us. We don’t want to make a giant whopping mistake which could translate into thousands or tens of thousands of dollars down the drain. Nobody except maybe a small portion of the top 1% wants to be redecorating every few years. And this is one reason why I very much recommend getting professional help. Professional interior design help. But you need to find someone who’s work that you love and who gets YOU. Someone you feel immensely comfortable with and you trust to do what’s in your best interests. And I feel that the best designers are ones who listen to their clients and keep an open mind about what the outcome might be. After all, they are designing for the client, not themselves. However, let’s say after all of the warnings, pleadings… that you still wish to go it alone. OR, all of the designers in your area are doing something else. I had a mini epiphany about timeless interiors which perhaps I’ve stated but not quite in the same way. And it’s fitting since the High Point Furniture Market is going on right now– This is where scores of thousands of designers descend upon thousands of showrooms. (yes, THOUSANDS!) to see the latest and greatest; the must haves; the latest trends. It’s in regard to the American Home Furnishings Industry. Oh, not all of it. But too much of it. It makes me crazy because people are gushing over things that I think are HORRENDOUS! The design is bad and so is the execution, color, proportion– wrong. And not only do folks not seem to notice, they claim that they LOVE IT! And, maybe they DO love it. But I believe that is often because they haven’t been exposed to that which is truly timeless and classic. What if we could lock up all of the manufacturers and immerse them in the authentic timeless designs I saw in England. What if they threw everything out and confessed that they’ve been doing it all wrong for decades? That would be the happiest day of my life! 75% of the furniture would be redesigned and they would hire the likes of Ben Pentreath, Nancy Keyes, William McLure and Maura Endres, okay and me. (she said, trying not to sound like a self-aggrandizing cow). And of course, many others and please forgive me, if you were left off the list. Because I know that there are many of you who already get this and feel the same way. I’ve discussed the issues before which you can read about here and here. So much is largely lacking in one word that sums up what’s missing. There is nothing charming about a hippopotamus crawling around on his belly. What are the components of charm? Here’s my list. Size. Charm is almost always petite and often intricate in design. Charm has age. Genuinely aged or at least a really good fake. Charm is unique and almost always a little quirky. Charm often has an element of whimsy, but at the very least, it never takes itself too seriously. But charm is also classic. It’s forever. Something that is charming today will be charming 30 years from now. Charm can be grand, but the charm is in the details, not the scale. It’s not something that gets manufactured down an assembly line along with a million other replicas. And that is the sticky wicket. Charm is either dirt cheap, or hellishly expensive. I can get it for you good and fast or good and cheap, but not good, fast and cheap. Furniture manufacturers can’t make as much money from something small, old and unique. Plus they are catering to the American penchant for BIG! It’s all just a fantasy, but for fun, let’s immerse ourselves in the truly classic. English Classic, since I’m now quite besotted if I wasn’t already! Now, you might not like it. It’s a little like Marmite. It helps if your mother put a little in your milk when you were a baby. Then, you’ll grow up loving it. Otherwise, it’s a tough sell. So, where is the easiest place to immerse ourselves in timeless interiors? It’s kind of funny, but we all find each other. And none of these homes/rooms are mcmansions. In fact most of these homes are quite small with small modest rooms. One of my new favorites on insta is a young English antiques dealer with the handle “@Tradchap”. But for some reason, he’s not promoting it as such. However, some of his recent insta images are on the website, so it must be his business. The living room wall color is Farrow and Ball Mouses Back. The library is old and traditional but Saarinen Tulip table and 70’s swooping lamp seem right at home to me. The wall color here is London Clay. I love the bright accents that pop up out of nowhere. The bathroom with the Sandberg wallpaper (more often seen in the blue and green colorway) is my favorite. Love the cabinet. This image is from an article about how to style your home when you’re renting. Some great ideas here. Above and below are gorgeous mantels from an English company, Jamb that manufactures them and sells antique mantels, too. They are also featured on this post. Pink is a wildly popular color these days in the UK and a classic one too! From the Dorset home of writer, Jason Goodwin. English decorating is a little messy. I know that this does not appeal to some of you, but I love it. I’d feel exceedingly comfy here in this cozy, lived in and loved room. Sir John Soane’s Museum. I’m working on getting the chips for this color AND Ben’s beautiful peachy pink. Above and below are two views of the same room I took on my trip to England. It is the home of principal architect, Robert Adam of the Winchester firm, Adam Architecture. And yes, he bears the name of the famous neo-classical architect Robert Adam, but I do not believe that they are related. Love this beautiful art wall. It’s a very personal home and that is typically English too. It’s the personal touch that I find devoid of so many of our interiors in the US. Of course, personal touches aren’t big money makers. Sorry, if that sounds cynical, but it’s how I perceive things. And you know how Americans are always saying that the English are so reserved? But are there American designers and architects embracing these kinds of timeless interiors and styling. Oh yes, many. Too many to name. And there are good furniture manufacturers too. BTW, just a reminder that the 4th edition of Laurel’s Rolodex is coming out November 1st. And on the 13th, the price is going up for the Rolodex as well as the paint/palette bundle. He JUST had a book come out. You can read about it here. Well, there are many. But my favorite over-all that has lots of classic designs as well as vintage furnishings is One King’s Lane. And I also love Chairish and Etsy. Well, this is one of the longest posts I’ve ever produced at over 2,700 words. So, time to wrap this one up. But not all designers, vendors and manufacturers understand what that is or even have the desire to do it. But if it is what you want, then it’s going to require a lot of research and study– even if you hire someone, I think it’s a great idea to become knowledgeable. That is how you will know the difference. PS: Don’t forget to check out the Hot Sales Page if that interests you. Lots of gorgeous new things and only two more days to get 20% off on the sitewide Serena and Lily sale. Haha! The unbathroom. Well, I did a post on one kind of unbathroom, a while back. It was pretty funny, but folks had their bathrooms out in the open and in their bedrooms. I realize that’s not at all what you are talking about. 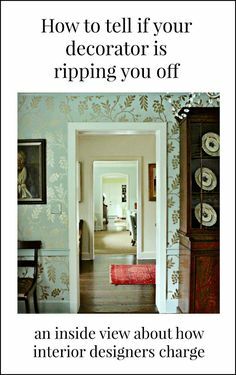 1) I too, lurve English “messy” decorating. One of my favorite movie homes is the one from “The Family Stone” and that house is dripping with such a high level of lived in, homey disheveled-ness, I adore every frame. I think one style that has come back so often that it has become timeless, in its own right, is mid-century modern. I know, I know! !…not more mid-century modern! But for more minimal tastes I think its become a timeless style. One trend I saw in Europe and again in Japan that I started taking a liking to was luxury vinyl. The technology exists now to make these beautiful, colorful low maintenance floors. Some places let you customize the colors. This may be my favorite post because it so beautifully dovetails with your U.K. trip and is unapologetic regarding so much of American “design”! Further to our discussion about Viscose, I totally agree that it is a good idea to do the coffee test by dumping a cup of coffee on any fabric before you purchase it. I did that before I ordered the material for a sectional in our home, but Viscose would never hold up under the coffee test, that’s for sure. As I mentioned, even pure water will show up. So maybe it is fine for a few throw pillows or a chair in a bedroom, but for a carpet…for get it. Buyer be ware if you have kids, pets or do a lot of entertaining. You can get stains out, but only by having the carpet cleaned professionally. Even water changed the nap and so that area will look different. One more comment, I don’t think a lot of designers have good taste. I tried to hire 5 different designers and none had good taste. I also decided to scroll down the design website contest looking for good blogs. I didn’t get through them all, but none were nearly as beautiful as yours. While we would all like to have Laurel’s on our team, I can tell you, that many designers just don’t have that level of taste. Thank you for your kind words. When I began my blog, I knew that I had to step it up if I was to get any kind of a foothold. And even then, it was extremely difficult the first couple of years. I never dreamed that I’d go this far, but I’m grateful for it. Alas, some designers aren’t as well-trained or are coming from a different place, but I’m sorry that you didn’t have a more positive experience with the five that you tried. A few comments and questions. First, I was told that a kitchen won’t go out of style if it matches the era and style of the house. So a 1930’s house, gets a 1930’s kitchen. A modern house, might not do so well with an old English kitchen… I wonder what you think of this? I tend to agree with the first paragraph. Some of the English kitchens these days have a modern bent to them. Modern and traditional at the same time. Please look at DeVOL Kitchens. I’ve also down a couple of posts about them. If you put DeVOL in the search box in the side bar. Absolutely beautiful in every way, English design is my favorite. It is warm, cozy, and inviting. I’ve tried to incorporate English antiques in my home and everyone who visits comments how they love my home. I think English furniture is timeless. No, it’s the same here. Reupholstery is very expensive. But it’s not $25,000 for one sofa, even with very expensive fabric. But that’s okay. I got the gist that it was a big problem for this designer. If I have any question or qualms about a fabric, I will do my “coffee test.” Yes, dump coffee on it and then see what happens. Your photos from your trip are inspirational, as are you. I must say I have worked with several talented designers in my life thus I have never redone a thing. I have moved several times and I bring all of my window treatments with me. Somehow I have used them or saved them, but they are me…anda talented designer helped me get what I wanted but didn’t know how to achieve on my own. So there is a cohesiveness to all of my things. In my latest project…gutting the condo I’m downsizing to…I did a lot with your suggestions. AKA: Hardwood floors installed..white oak stained English chestnut and Waterlox applied. Oh My Gosh! I would never have chosen it..but I went for it, and my designer/pal/expert..
gave it her seal of approval and said ..Do It..So I do always use professional design help when I get insecure and feel I’m about to make a costly mistake. I have parted with many things and am about to part with more of my “lifetime collection” to free myself ( and my children) from dealing with all of it. I am keeping the valuable things so when they are auctioned off at my death my children will be dumfounded at the fact that “that old thing” had value..Mom wasn’t so dumb after all!! HA! Thank you for a wonderful post. Of course, I loved it since there’some bias confirmation on my part when it comes to English style and classic decoration. How cool that you have Ben’s book! As for designers. Some are amazing and some, well… are lacking. But I suppose it’s like that in all professions. Laurel- you are one of the most honest, erudite and deeply knowledgeable design authorities out there, and I will tell you that what I have learned from your tutelage is to look at my own interiors with some of that ‘honest’ eye’. Now I am slowly removing the ersazt’ from the timeless. Luckily I had a Mother who always knew the difference! Yes, you are lucky. My mom did not know the difference. lol But of course, I still love her. I would be happy to share this ETSY dealer with you. Doll-ores, I think I love you! LOVE that Etsy store for sure. My advice is to err on the side of hiring a good designer (references from friends or a nice portfolio) who is LOCAL. I have had very few bad experiences working with designers – three that were sponsored by local furniture stores, one referred by a friend. My only bad experience (and one that cost a boatload) was working with an “edesigner” who gave me terrible advice and charged me $1200, but gave me no sources for purchasing, and didn’t want to listen when I said “I don’t want laminate floors or that flesh colored paint.” What I got was what I got. Yes, the designer’s fee is IN the mark-up. Stores have tremendous overheads which is why so many of them have closed. It sounds like you got her in, just in the nick of time. I’ve gotten these calls too, but usually it’s after something is in, like the counter tops and they realize that they made a big mistake. (often because they didn’t actually see the slab). Hi Laurel, Thank you for writing such a thoughtful and informative blog. I can’t begin to describe how much I’ve learned from you (perhaps my design background prepped me to be receptive to learning from you?) So, anyway, you’re awesome!! Discussion about cultural trends in interiors is fascinating. There are so many influences (consumerism, economics, marketing influences, history, etc) Something that sometimes gets overlooked in these kinds of conversations is the relationship between environment and interior space. The gray, rainy, cool English climate can inspire a desire for color, warmth & coziness at home. (And, of course, there are are all of the colonial influences) When I’m working on a project, i find it helpful to think about an interior in the context of the building and the landscape. It is so true. And I probably forget that the New York climate, while more harsh and variable is not completely dissimilar to the English climate. But there are parts of the US that are HOT and arid most of the year. Although, they like bright colors too. 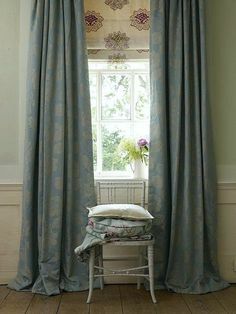 And like trad chap, there are those Brits who love muted, deep colors which is also cozy, particularly in those small rooms with low ceilings. But it is true that looking at everything in a holistic way is very important. Putting my hand up for a classic design in hot climates post! I’m in one of the hot dry parts of SoCal. We’ve recently bought a 70s ranch on two landscaped acres so we have decent green for the location and tree shade on our property, but still… hot and dry most of the year. Indoor outdoor living is huge anytime the temps are below 80, even in the morning and evening on hot days. Our new house has many wide giant windows and I’m so enjoying the light, as well as embracing the more clean lined modern architectural style (coming from sort of a cottage feel). Still, I am with you that immersing in the classics gives you a feel for what truly works even if you are not making a classical home per se. Yes, it’s like going to a museum. It begins to rub off in good ways. And I feel that good modern design is still based on classic proportions. Great post! Thank you for the mention!!! I agree with much of what you say in this post. Professional help saves money in the long-term, especially if one is not particularly gifted in the creativity department. I even like some of the color choices, etc., in the photographs, but those rooms look DIRTY–like they haven’t been cleaned properly in a while. The floors are grungy; the upholstery looks soggy. Yuck. Oh dear! I’m sorry if the images made you feel ill!!! I was in Robert Adam’s home. Those are my photos, and I can assure you that it was spotlessly clean! But I can appreciate that some folks cannot stand patina on anything. Patina and dirt are not the same thing, BTW. If you don’t know… patina is the natural aging process of something – like one could say that Laurel’s face is taking on the patina of a fine antique! There’s another home coming up which is new and melds together beautifully both worlds. 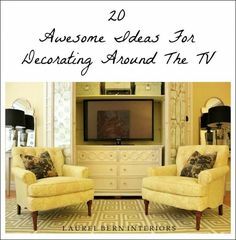 Laurel – YOU are a charming writer and a fabulous decorator and I would hire you hands down. I wouldn’t say that to just any professional. All I know is that your ” palette” or home decor is always a work in process. That’s part of the fun! I have to say, the number one thing I would recommend to this person is inspiration imagery (yes, and also a designer! Especially for a kitchen!). Specific, tailored images that you can say ‘this is the look/feel I like’ is so, so helpful in communicating both to yourself and others what it is that you might want! 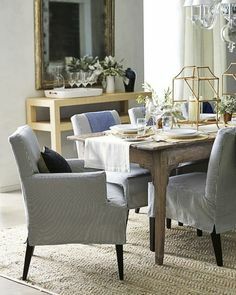 I’m totally familiar with the issue of your ‘style’ being old fashioned and high-ceilinged with lots of architectural detail and your reality being modern and open plan– I had the exact issue decorating our current apartment (where we are only renters, so nothing permanent could be changed). Looking at imagery to see what would/wouldn’t make sense with our lifestyle and the apartment we have is the only thing that helped! The two Lori/Lorris have good points. But though rec room Lori sounds like she has a great ability to choose a design launchpad (her rug) and then be disciplined in her vision and purchasing, not everyone has that ability. I’ve often gotten calls from people one-offing their buying until they’ve accumulated a hot mess. Penny wise, pound foolish. Then we have to edit — sometimes painful, because some purchases or new. So we move, consign, reuse elsewhere. For new stuff we purchase, clients benefit from an overall vision and trade discounting. P.S.sorry Laurel, if you get the chance take a look at Butter Wakefields home & garden. Thank you, Laurel, for introducing us to Jack Laver Brister. Perhaps, he & Ben Pentreath were separated at birth ? Love the Pink Pelargonium in the terracotta pot…I am looking at one, in said pot, as I type. A great country house style yellow is an archived F&B one, Gervase yellow, I get mine mixed by Mylands. You are clever, Laurel ! yes it does have a touch of green & a lot of my paintings, green glass, & ‘stuff’ is green so looks fab against it in my Georgian cottage. The joy of it is it has a chameleon quality about it & looks slightly differently, scrumptious in different lights. I also team it with rose red ( that elusive red with rose tones that I call French red) & pink that looks fab, too. It can imagine all of that. The green in it is what helps it look so fabulous with all of the other colors! Wow that was some post, which I’m sure will engender spirited debate! I’m about to say something as a person who would totally do her own interior design . . . the LW needs to HIRE someone. I’ve noticed there are so many people who struggle with design, yet feel they must do it themselves. That sounds like a recipe for misery and possibly hating the end result. It’s easier to bite the bullet and admit you know what you like when you see it, but not how to achieve it. That’s nothing to be ashamed of since you are no doubt talented at other things. Find a large furniture store that sells several lines of classic furniture with designers on staff. They often provide design services at no extra charge. And they aren’t necessarily limited to using only items from their store. Many of them can source antiques also. Just inquire. I provided the service at no extra charge except for a nominal design fee for the many hours up front and travel expenses. I only charged a mark-up which was almost always smaller but never greater than a store’s mark up. This was the primary reason that I wrote Laurel’s Rolodex. While anyone can benefit from it, it helps designers know which vendors are open to working directly with designers so that they can get the product without having to go to a designer’s showroom or retail store. Of course, some companies won’t work directly with designers, but many fine companies do. There is no bargain purchasing from a store and the people working there may or may not have training/experience. I’ve come into contact with some employees that are well-meaning, but phenomenally under qualified for the job. And I’ve known some that are terrific. But the former is more common in my experience. Where I’m coming from, is that many years ago I worked for an enormous furniture store that employed 15 interior designers (with degrees) in addition to about 30 salespeople. The store had a full-service design studio stocked with designer fabrics and other resources. We sold anything from Lexington to Henredon, Baker, Ralph Lauren, etc . . . moderate to high end, but with an emphasis on the higher end . . . plus antiques. Commissions were high, though the designers were paid a slightly higher commission than the salespeople. The designers rarely sold an individual piece. They were more likely to be working on a whole room(s) from top to bottom, or a whole house. The customer was never charged extra for the design service. Outside designers were given discounts as well. We even had an employee whose sole job was to deal with outside designers! Wow, I’m surprised your area has lost furniture stores! I left the one I worked in because I moved away in 2001. They are no longer in that city, but still exist in another state. I took the job to get into the industry because I wanted to see if I should get a design degree. Why not work with designers and see first hand? Well, I decided not to because I saw how draining some customers could be. I’m sorry that you had designers who didn’t work for you. I can tell you that in my 20 years of taking on clients that I saved each of them money. And it was a collaborative effort. We often used items that they already had. I’m sorry that it’s not possible to post photos. My template does not provide for that. And also, while there is a large readership, at present it is only me doing everything. I haven’t figured out how to hire or delegate. Perhaps it will hold me back, but that is okay. I’m sorry.